So I thought that I would let you all in on something that has really helped me to organise my head and help with my anxiety. 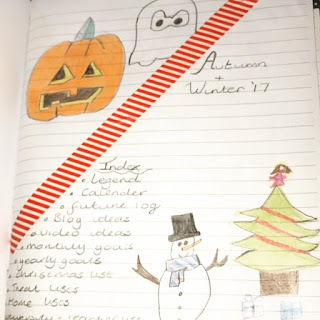 I decided to start a bullet journal - I know that they are all the rage at the moment . 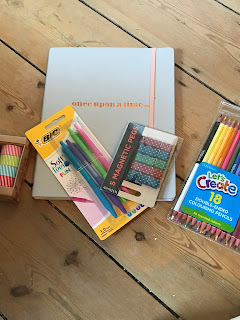 So I bought the supplies that you see below. I knew that I would need a decent notebook that would last and was decent quality. 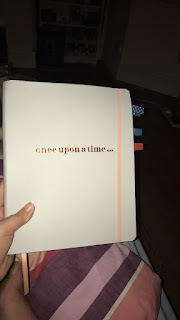 I have had my eye on Zoella lifestyle's one from her previous collection. It has lovely little slogans through out as well as this one on the front. On the back it says ...the end. I haven't had the chance to be creative on paper for the longest time so I was a bit nervous when the time came to commit to paper. I tried to make it personal to the season and as you can see the Index is rather long. 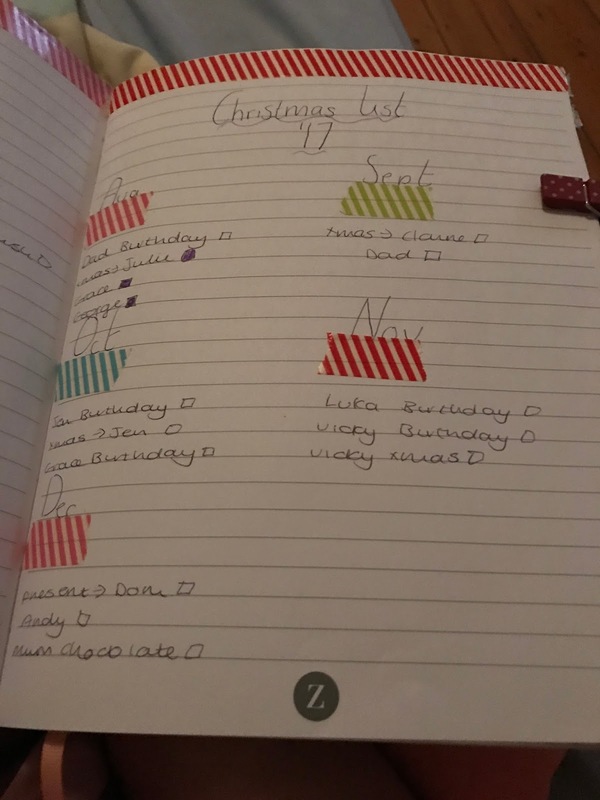 I have gone from three planners to just the one so I copied everything over. I thought that I would feature a couple of the pages - as some are still fairly blank and some are simply personal. I am trying out alot of different ideas so if they work I will mention them in a follow up post. As you may know, feature monthly goals on the blog and on the main channel. But sometimes I forget what they are mid way through the week - so I have designed a section where I can tick them off when they are done. Another section is my Christmas list page. 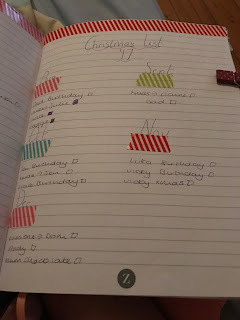 If you read my previous post about planning christmas - then you will know that I have every month planned down to the week as to when I am going to buy presents and food. I normally have a list pinned to the fridge so I thought that this is a nice more permanent record of the plan. I find having it written like this has really helped. 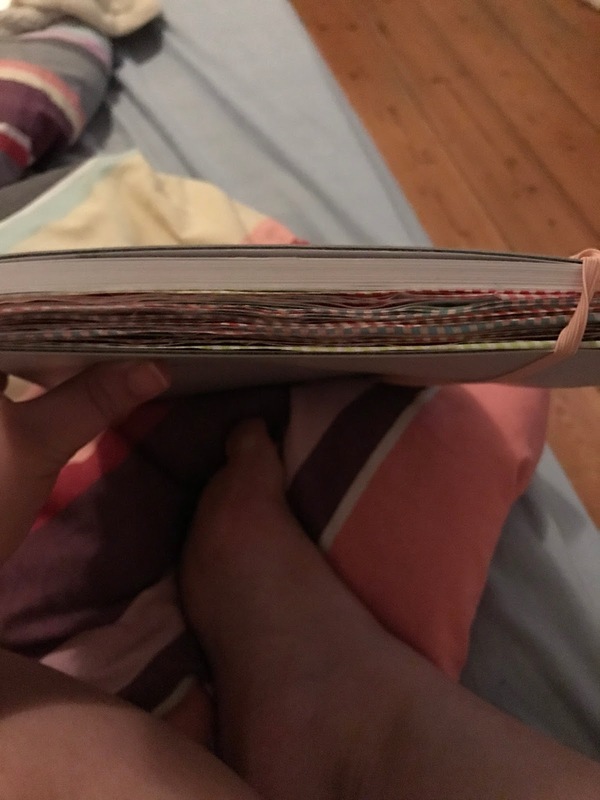 Through planning the last four months of the year and filling out all the week by week pages - I still have half of the notebook left. 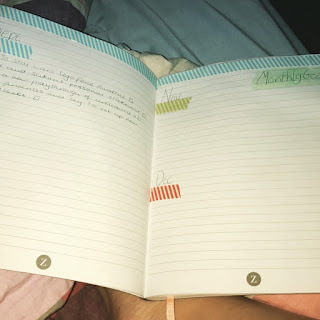 So I might be able to also do January and February in this notebook too. I have found this so much better than having a to do list, I have actually checked everything off that I intended to. I'll do a follow up post after I have spent more time with it!